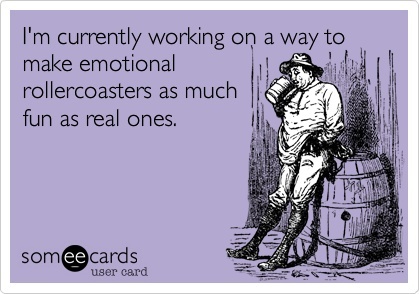 What I’ve learned on this journey is that it is a roller coaster. An out-of-control, up-and-down, give-you-whiplash kind of roller coaster. There are moments that hurt and hope occupy the same space in your heart. When you first hear the diagnosis – “infertile“ – its shocking. But what’s more shocking than that are the things they DON’T tell you. Like how every time you see a pregnant woman, you’ll have to look the other way. Or how you will take the longest way around the department store to not have to pass the baby section. Or how your heart will splinter a little with every pregnancy announcement and shatter wide open when that announcement comes from your best friend. Or how, despite the jealousy towards women that don’t deserve to have babies yet do, you will speak out for children that don’t have a voice – even if it means going against your family. They don’t tell you that you will feel embarrassed. And ashamed. And broken. And lonely. And like a disappointment. Or how you will go through every step of the grieving process – every month. It’s also shocking how – even month after disappointing month – your heart will still skip a beat at a late cycle. It’s shocking how – even while fear chisels its way through your heart – hope battles it, if only for a moment. Every month that we fall apart after a BFN – we wipe our tears, dust ourselves off and try again. Terrified we won’t be successful, but confident we will be less successful if we don’t try. 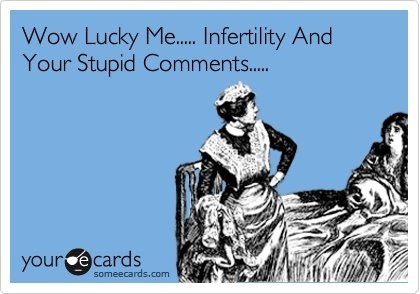 Infertility has the potential to destroy so many things. Self-esteem. Self-image. Friendships. Marriages. But it also has the potential to make those things stronger through the brokenness. You can either be beaten. Or beat it. My husband and I have had some very real, very raw moments that I remember wondering if we’d even make it through. 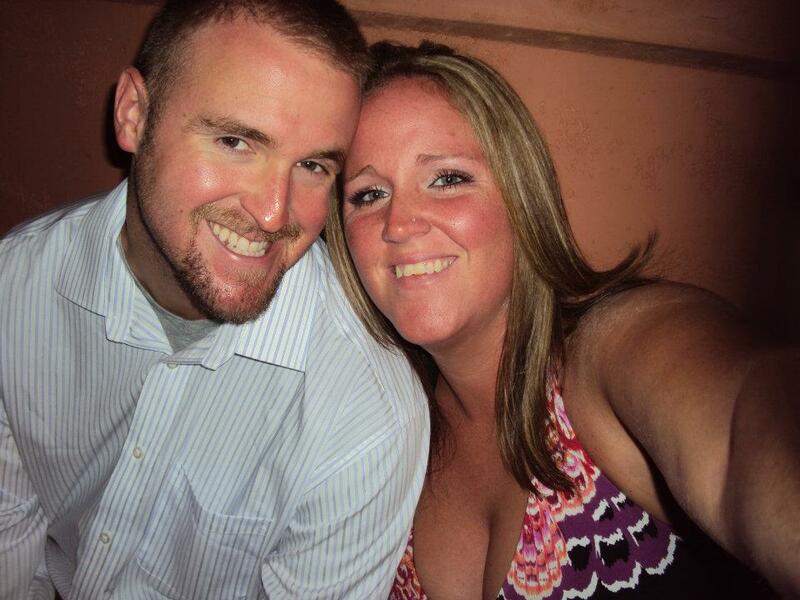 He never thought we were fighting about infertility, but I knew that it was always the underlying cause. The elephant in the room. Just sitting there. If it were a person, I’d imagine it wringing its hands with an evil smirk and cackling while saying “Peeerrrrfffeeecct. They’re fighting. I’ve got them right where I want them.” Only we decided that wasn’t where we wanted to be. There are SO many things that are out of our control in this process. How we respond to it isn’t. Some days, I feel like that ratio is pretty darn skewed! As if dealing with all these emotions isn’t enough, we also get the pleasure of helping every. single. person. that hears our story make their dream of being a Doctor come true! Advice, comments, stories, anecdotes, cures, old wives’ tales, sexual positions, relaxation methods. The list goes on and on. PLEASE, PLEASE, PLEASE don’t tell us to relax. There will be days that we will be walking in the clouds and having a great time and then something triggers us. Please give us grace as we go from Cloud Nine to Ground Zero.